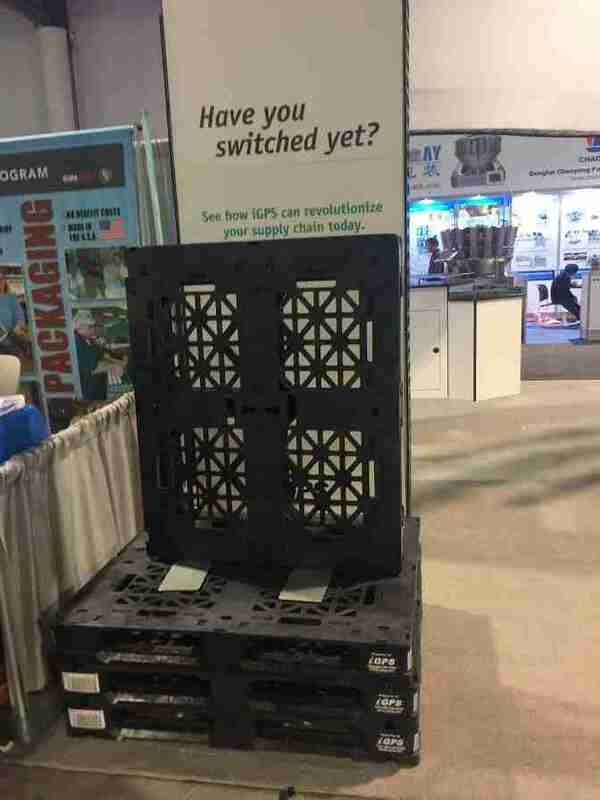 IGPS plastic pallet display seen at PACK EXPO Las Vegas, September 2017. 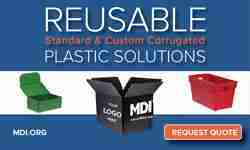 The largest U.S. plastic pallet rental provider now offers sanitized pallets. PURE Bioscience, Inc., creator of the patented, non-toxic silver dihydrogen citrate (SDC) antimicrobial, has signed an agreement with, and received an initial order from, iGPS Logistics, the leading plastic pallet pooling service provider in North America. PURE® Hard Surface disinfectant will be used as a new, more effective, time-efficient sanitization solution. In PURE’s proprietary solution, EPA registered PURE Hard Surface will be mist-spray applied to the surfaces of plastic pallets inside a trailer to quickly eliminate microorganisms, preventing cross contamination. Test results demonstrated rapid efficacy (consistently over 96% reduction in bacteria counts), coupled with a highly favorable safety profile. The newly developed PURE pallet sanitization solution helps food transportation operations to comply with the Food Safety Modernization Act (FSMA) requirement that transport equipment be sanitized to prevent food contamination. 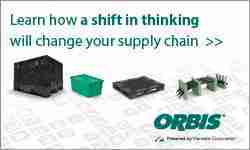 The use of plastic pallets continues to expand in the food industry and they are increasingly required by leading processors and retailers. Pallet sanitization is becoming a critical component of any food safety plan to prevent cross-contamination. 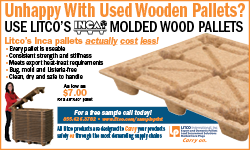 This initial sale supports start-up operations in five of 15 iGPS pallet pooling centers. PURE expects follow-on orders, as well as rollout to the balance of the iGPS system, in the coming months. In September, iGPS Logistics announced that it now offers the capability to deliver direct food contact level safety for its pallet customers. The revolutionary method applies a food contact surface sanitizer to iGPS plastic pallets, reducing contaminants by an average of 96%. The Food Safety Modernization Act (FSMA) requires transport equipment, such as pallets, to be cleaned and sanitized to prevent food from becoming contaminated. Industry experts have stated that 5,000 – 10,000 CFU (colony-forming unit of Aerobic Plate Count bacteria) per sampling swab are acceptable levels of sanitization for pallets. Testing on the sanitized iGPS plastic pallets showed consistently at less than half these minimum acceptable levels. According to Liebesman, iGPS offers sanitized pallets as well as washed pallets as upgrades from its basic rental service. It also provides trailer washing for companies picking up pallets at one of its 15 locations.